The mission of the Boy Scouts of America, Southwest Florida Council is to prepare young people to make ethical and moral choices over their lifetimes by instilling in them the values of the Scout Oath and Law.The Council accomplishes its mission by making its program available to chartered organizations; existing organizations that have compatible goals. These groups include religious, educational, civic fraternal, business, labor, and governmental bodies. The Council supports chartered organizations by providing materials and certain facilities, such as camps. The Chartered Organizations organize the packs and troops.There are approximately 300 councils in the Boy Scouts of America. United Way funds are used to provide critical program, volunteer, facility and staff services that are vital for operations. Vital council support services include the employment of a full time Collier county staff person to oversee all aspects of program administration and coordination of 600+ registered volunteers to insure proper program implementation and operations at the unit and county levels. Specific services include membership expansion/recruitment, multi-cultural outreach, special financial assistance for disadvantaged youth, youth recognitions/merit badges & advancements, new unit organization, adult leader training, unit program support coordination and camp facilities/programs. 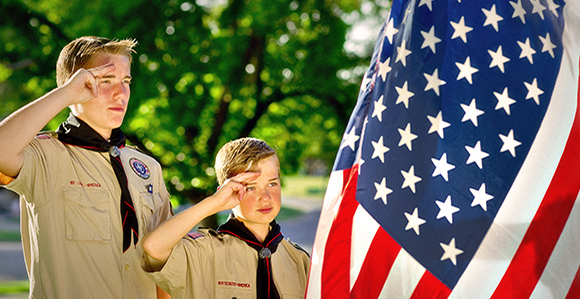 There is no child that will not have the opportunity to participate in the Scouting program due to financial reasons. United Way funding is critical to Scouting’s ability to implement a community based program that offers youth in all communities the opportunity to participate in the program. In 2014, there were 603 registered adult volunteers who participated in the Scouting program in Collier Co. Volunteers are important to every aspect of operations at the unit and district/county levels. Volunteers serve at the unit level to provide programs to youth and are a very volunteer labor intensive organization. District/county level volunteers also provide vital support functions in the area of program, leader training, membership recruitment, new unit organization, special events /activities and camping programs to individual units. $85 will provide a scholarship for a Cub Scout in need to attend summer day camp. $75 will pay for a basic uniform for a Scout in need. $275 Provides merit badges and rank advancements for an at-risk Scout troop of 15-20 boys. $500 Provides two summer camp scholarships for at-risk youth.